Chloroethane is a gas that condenses under slight pressure. Because of its low boiling point, ethyl chloride sprayed on skin produces an intense cold by evaporation resulting in the block of the nerve conduction. 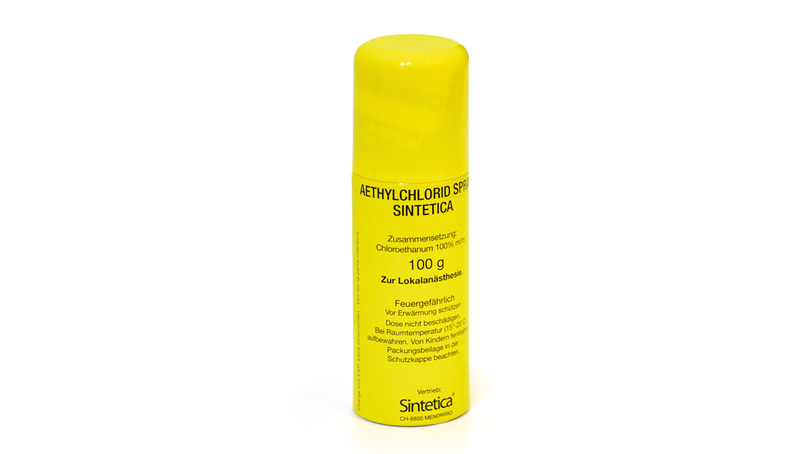 Aethylchlorid Spray Sintetica® is indicated in surface anaesthesia for small surgery intervention, in dermatology, for external haemorrhoids and in obstetrics. It is contraindicated in the case of open wound.